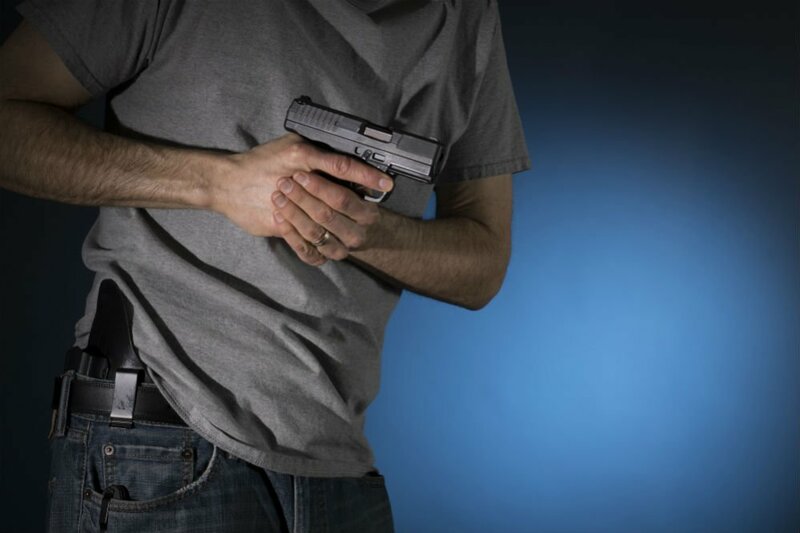 When looking for the best way to secure your handgun on your waist, you really have two great hip holster designs to choose from—IWB (Inside the Waistband) and OWB (Over the Waistband) carry holsters. 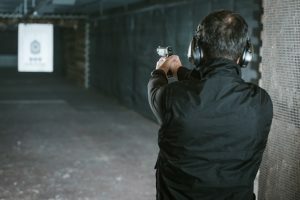 Both types of holsters offer a rich set of advantages as well as shared similarities, making one type more beneficial for some users than others. Understanding the difference between the two, and their respective benefits, will help you make a uniformed decision and possibly save money on unnecessary accessories such as belts and clips. Without further ado, here’s the lowdown on IWB vs. OWB holsters to help you buy the right one for your needs. What are IWB Carry Holsters? 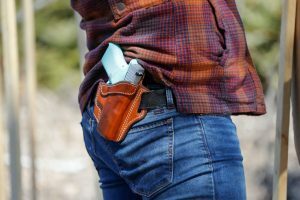 What are OWB Carry Holsters? 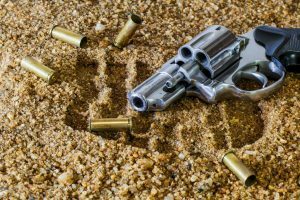 IWB vs. OWB holsters – Which one should you buy? IWB short for Inside the Waistband, just like the name would suggest, provides better concealment than OWB carry holsters, mostly due to the fact that they eliminate pistol profile, meaning that they do not reveal the shape of the holstered gun underneath the concealed garment. 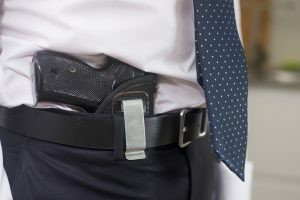 Additionally, some IWB carry holsters can be used with no belt owing to the integrated metal clip that attaches firmly to the pants upper hems. There are two common types of IWB holsters available—Pancake and Hybrid designs, where the former is generally made from two layers and the latter features a durable plastic retention insert mated with a composite backer or cloth. Accessibility is another important factor to consider when buying a gun holster, and this is an area where IWB holsters get an edge over OWB holsters. 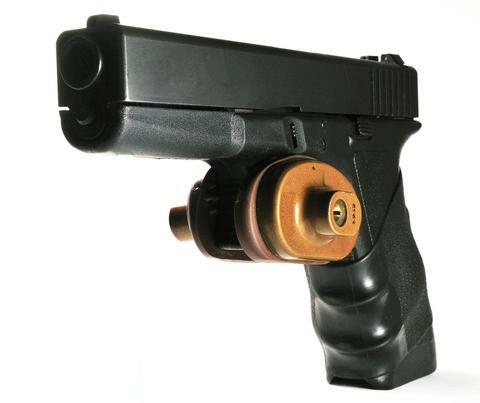 They enable you to draw your pistol quickly and without any impediment, and safely re-holster it with one hand. Even though most of the best IWB holsters are crafted from itch-free, comfortable materials, you may need to wear pants with broader waistbands in order for most to sit well and tight. 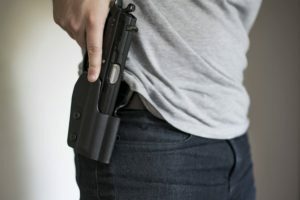 Furthermore, the leather backing of some IWB holsters can wear after a while so that they begin to drape over the pistol or in worse cases trap the weapon and impede your draw. OWB short for Over the Waistband holsters are also a great choice when looking to secure your weapon on your waistline. Even though they aren’t designed to conceal your firearm, you can use an OWB holster to discreetly secure your handgun to your waistline with a long shirt or jacket. Pant size challenges is one of the biggest reasons some gun owners gravitate towards OWB carry holsters. 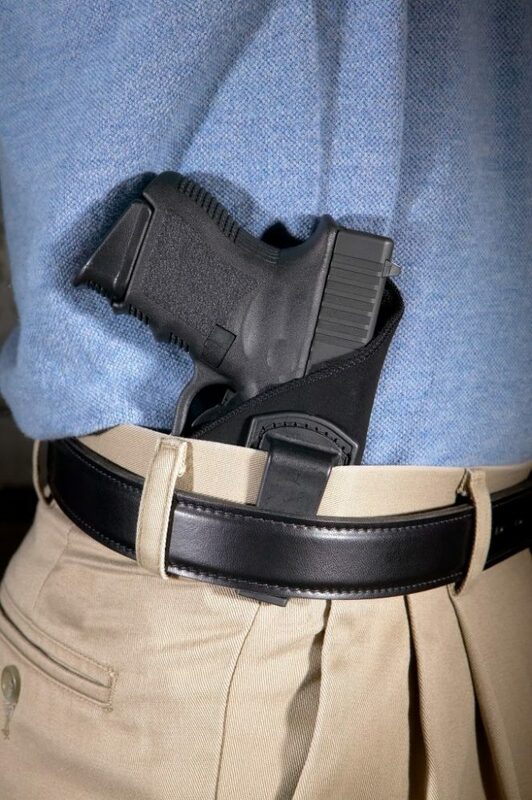 IWB holsters are worn inside the waist; therefore they take up more space and often require one size up of pants. Buying one size bigger pants to clip IWB holsters for those who do not often carry their weapon may not be cost efficient, but OWB holsters, given that they are worn over the waistline, work with all the existing size pants you have. Outside the waistband gun holsters also provide you with a superior grip when reaching for your weapon, making it easy to extract and present the weapon. Most IWB holsters secure your pistol flat against the holster material that is in contact with your skin, and removing it entails inserting your thumb between the gun and the holster material. 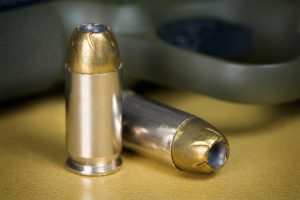 This may not work well for newbies to the gun range as it would take some level of skill and practice to get a grip on the handle of the weapon. It is much easier to get a grip with OWB holsters due to the holster’s position over the waistline for easy access to the pistol. Adding to this, re-holstering, especially for novice gun users, is also easier, faster and most importantly, accurate with an OWB gun holster. Over the waistband gun holsters can also be had in a choice of hybrid and pancake designs, where choosing between them ultimately boils down to personal preference. Both IWB and OWB holsters are crafted from similar materials such as leather, nylon cloth or neoprene. Leather-made IWB and OWB carry holsters can help you achieve a tight fit and are comfortable, but on the downside are heavy, hence they can add weight and pressure to the part of your body where it is hosted. Further, leather tends to get quite warm in hot weather, and tends to absorb a lot of sweat, so you may notice a foul smell emitting from your holster after a long period of use. Leather also gets soft after a while, resulting in less retention capabilities as you use it. Nylon, neoprene and other similar materials are not only lightweight, but also offer excellent breathability for you and your weapon. Adding to this, most of the best gun carry holsters made from this class of materials offer great service life, saving you both time and money in buying a new holster every few months. Well, the answer to this depends mostly on whether you’d like to completely conceal your weapon or let people know you’re armed. 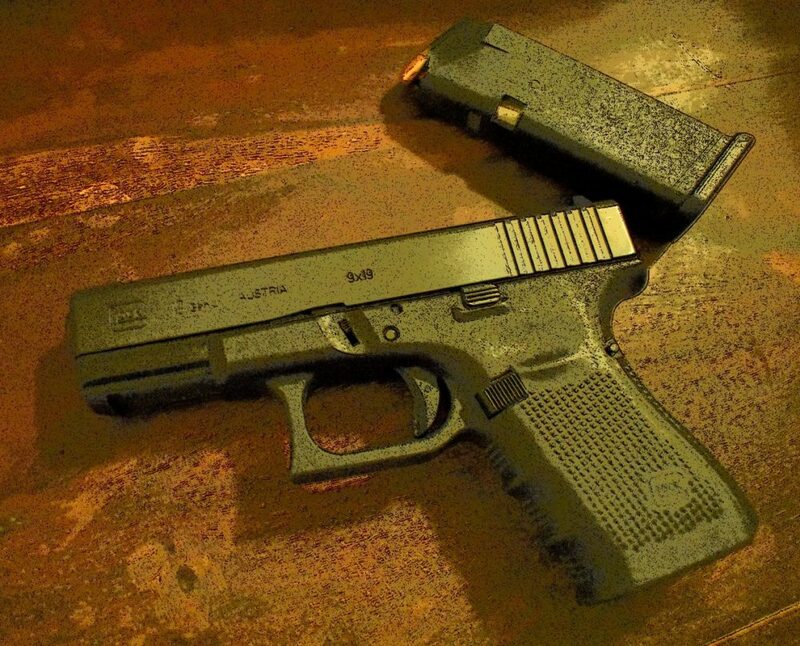 Holstering and unholstering your weapon especially for novice gun users, may be a bit challenging with IWB holsters as they require you to use your thumb in order to get a firm grip on the handle and remove the weapon. OWB holsters can also conceal your weapon as long as you wear loose fitting or longer clothing. These work great for newbies and seasoned gun owners because they provide easy access to the firearm, but do need to be clipped onto a belt unlike a metal clip support offered by IWB gun carry holsters. Buying the best gun carry holster is a matter of determining how you’d like to carry your weapon, because they stay concealed with IWB carry holsters and are exposed with OWB gun holsters.